IMPORTANT: DO NOT buy FieldMonitor without reading this ENTIRE description. • FieldMonitor will have the same latency, resolution, and reliability as the native app. • If a camera control or feature does not work when using the native app, it won’t work with FieldMonitor either. • Camera control is limited to shooting controls: FieldMonitor has no playback, review or download capability. Wi-Fi monitoring needs a clear Wi-Fi channel. In areas with many busy Wi-Fi networks and/or sources of radio interference, performance cannot be guaranteed. Test for acceptable performance with your camera’s native app BEFORE buying FieldMonitor. More info at https://www.adamwilt.com/fieldmonitor/. Please contact me if you have any remaining questions BEFORE buying FieldMonitor. FieldMonitor™ lets you wirelessly monitor picture, exposure, and color using Wi-Fi-capable Panasonic™ Lumix™ cameras, Sony™ cameras, and Teradek™ H.264 transmitters. FieldMonitor runs on iPhone, iPad, and iPod touch. Use customizable markers to show safe areas, aspect ratios, and framing grids. Desqueeze anamorphic images, with cropping to your final aspect ratio. 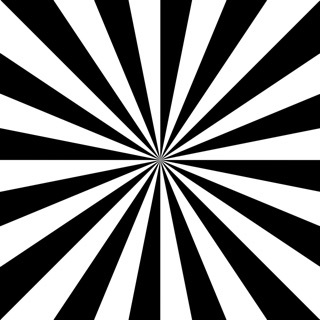 Flip the image on either axis. Use focus assist to help nail your focus (camera sources only). Load 3D LUTs to make log images viewable and modify image appearance (camera sources only). 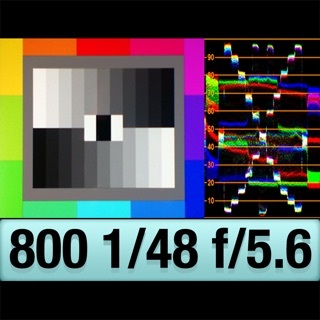 Use a waveform monitor, vectorscope, and/or histogram to monitor exposure and color balance. Each ’scope is movable and resizable. WFM and histogram display Y (luma), RGB, or Y+RGB; the WFM also shows YCbCr. The vectorscope shows 75% and 100% targets and can be magnified 2x or 4x. With iPhone 5S or later, iPod touch 6G or later, iPad Air or later, iPad mini 2 or later, or iPad Pro, you can view a false-color picture with adjustable levels. With a supported camera and lens you can start/stop recording, control exposure and color settings, and zoom or focus remotely, using controls designed for fast, direct adjustments (available controls depend on the camera and lens being used). • FieldMonitor does not work with cine cameras or camcorders, only “hybrid” cameras like the GH5 and A7Sii. • Audio is not transmitted from camera sources, only Teradeks. • Panasonic's Wi-Fi image resolution is limited to 640x360 or 320x180; Sony's Wi-Fi image resolution is 1024x576 or 640x360 (for 16x9 images). • “Smart Remote” Sonys do NOT allow use of Picture Profiles (including S-Log) or S&Q Motion when using Wi-Fi remote control. Focus points can only be moved in photo mode. • “Ctrl w/ Smartphone“ Sonys do not display focus area, battery level, or storage info. Focus points can’t be moved in the app. • Panasonic: Lumix cameras that transmit a live view while recording when using Image App. GH3 and earlier cameras do NOT support video recording in Wi-Fi remote mode. • Sony: Alpha and RX cameras that transmit a live view while recording when using PlayMemories Mobile, including the A5100, A6300, A6500, A7S, A7Sii, A7ii, A7iii, A7Rii, A7Riii, A9, and A99ii. A5000, A6000, A7, A99 and earlier cameras do NOT support video recording in Wi-Fi remote mode. • Teradek: Cube (100–600 series), VidiU, and Clip transmitters. Bolt, Serv, and 700–800 series Cubes are NOT supported. Panasonic, Lumix, and Image App are trademarks of Panasonic Corporation. Sony and PlayMemories are trademarks of Sony Corporation. Teradek, Cube, Clip, VidiU, Serv, and Bolt are trademarks of Teradek, a Vitec Group Brand. FieldMonitor is an independently-developed app; Panasonic, Sony, and Teradek are not responsible for FieldMonitor’s performance, suitability, or fitness for purpose. Camera Remote API by Sony. • Minor bug fix: Focus rocker is now properly aligned with Zoom rocker on all iDevices, including iPhones X, XS, and XR. I am very pleased with this app. Having full screen monitoring is a huge help. I have a Panasonic GX85 and for some strange reason, Panasonic disables focus peaking and zebra stripe through the WiFi stream while recording video. Both are present in the stream before the recording is started and while recording it is only available on the camera screen. The extra features in this app allow me to still use sharpened edges and light to do essentially the same thing through the app. I had some pre-sale questions and Adam was excellent and answered all my questions very quickly. The lower reviews seem to be from customers whom did not read the description of the app to see if it would or would not be compatible with their camera. 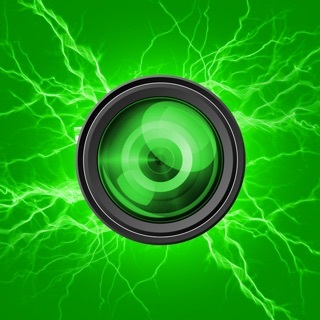 If your camera is in the supported list, or an email to Adam verifies it is, then buy this app. It is so much better than the ones the manufacture offers for monitoring purposes. If you just need to download images, the manufacture app probably already lets you do that. This one won’t. I am using FieldMonitor with a Sony A7iii and an IPad Pro 10.5”. FieldMonitor is an adequate way to give clients something to look at and play with while they try to slow down production. The app works well enough to pass off to someone who wants to feel involved. FieldMonitor is a great concept that was built by someone who clearly has production experience. I hope people that are interested in buying this app realize the limitations before they complain about their $20. With that said, I would not rely on this product as a primary field monitor. My guess is the developer would not be offended by that statement. 1. Low latency. Didn’t expect it to be this good. 2. Customizable features. Well done. 4. Scopes are pretty accurate. More testing is needed. 5. I have a live image on my flippin’ IPad Pro. 1. “Network timeouts” when playback is engaged on the camera. Is there any way to avoid re-connecting every time I want to see playback on my camera? That is frustrating. I don’t regret buying FieldMonitor and I look forward to future updates. Thank you Adam. Thanks for the detailed and rational review (grin). As to "network timeouts", when you put the camera in Play, it drops the network connection. Sorry, that's just what the camera does; unless and until Sony changes the way it works, we're stuck with it (you'll see the same thing using PlayMemories Mobile). You can bump resolution up to 1024x576 (Settings > Camera Options > Sony Max Resolution), but frame rate will drop and latency will increase as the camera is pushing much bigger JPEGs though the skinny Wi-Fi pipe. Great idea. Video output on the G7 isn't great. Super cool for $20 bucks. I use it to see my lighting adjustments in real time instead of running back to the camera. It's almost like I'm my own assistant, and that's something a wired monitor can't do. The quality of the video over wifi from my Panasonic G7 isn't great. I can't really tell what's in focus. Seems to be very useful for exposure. Slight color difference between iPhone and the camera LCD. Autofocus seems to work well, but trying to focus manually through the app moves super slow. False color is my favorite part. I wish there was a quick on and off for it instead of having to tap and slide. Definitely better than nothing for me, I just really wish I could check focus. The G7 can't monitor out over HDMI so this is really nice. Maybe the GH4 or GH5 has a better quality output. I'll have to try it. One issue is whenever I try to jump back to the Panasonic app for playback I have to reconnect to the cameras wifi and then reopen the field monitor app. That can take a minute. We're limited to the resolutions the G7 puts out, alas, so it's not ideal for focus. The next version will have quicker toggling of 'scopes, false color, and LUTs. Not sure why you're having reconnection issues; contact me directly and we can try to work out why that's happening.